Add your own sticker or stamp to these placards. Give your business card out with style and elegance. 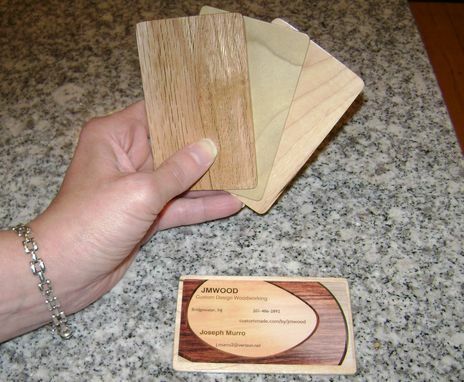 These hardwood business card placard's are hand made and polished to a high smooth sheen. The perfect size for your business card sticker to fit on or personalized stamp. Just the right thickness that feels nice to hold. Give your important potential customers a great impression with a card they will never throw away. 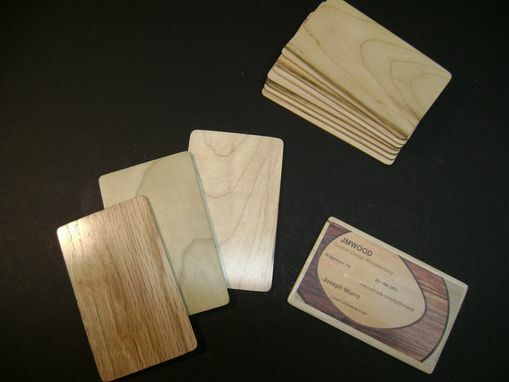 Available in oak, poplar and maple - shown in that order in the photo. You can get your business card printed on stickers at places like Vistaprint. Get yours today and start making unique and lasting impression's with your customers. Sold in quantities of 40. Exotic woods available upon request.